David Duke is a dickhead. "Perhaps America's best-known racist, David Duke was instrumental in the Klan resurgence of the 1970s. He has since continued to propagandize white supremacist views as a frequent political candidate, with a variety of fringe organizations and, in recent years, in Russia, Europe and the Middle East." i used to have many jewish friends back at Lorong Yahudi ... one of them is Fatimah Rubin (she's my classmate too), Penang ... nearby Odean Cinema, Penang Road, you can still see the jewish cemetary which can be considered among the oldest in Penang State. when i was a kid, i thought they were Arabs because of the similarities in names, language and culture ... only back in 1975 (Arab-Israel war had ended back then) when Fatimah had to sail away to Israel ... only then I knew the difference. That was the last time I saw Fatimah. Hey Loken - By Crikey, you're right! David Duke's a former Grand Wizard of the Ku Klux Klan! Didn't know that. Only read a few excerpts from his book - what I read seemed sensible enough, which goes to show, every viewpoint can be justified or at least understood - if you don't have to live with it :-) I suppose the Klansmen & the Zionists ought to be rounded up & exiled to a tiny island & left there until they exterminate each other. Bear in mind, nonetheless, that Wikipedia is dominated by Zionist-sympathizers who censor anything that remotely smells of "holocaust denial." That's why I don't completely rely on Wiki's spin on everything, though it's very useful for quick reference. I don’t really rely on Wikipedia only. Anyway you are right that every viewpoint can be justified or at least understood. BTW, These are what Duke the dickhead has said..
1) Well, the Jews have developed a disease and given it to us already. It's called race mixing, and they're being quite successful." -- Interview with Evelyn Rich, doctoral student, Feb. 17, 1986. 2) On Blacks > "We don't have a program to send Blacks back to Africa. I think that's impractical. We do feel an ideal, perhaps an impossible ideal, would be geographic separation of the races, either within this country or on an extra-continental basis." 2. And yes, David Duke is a Ku Klux Klan leader and Nazi, American-style. Better to quote the American Jewish leader Michael Lerner who condemns Israeli misdeeds. 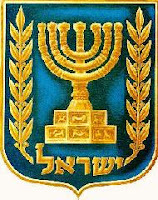 "Although the 'Star of David' is commonly associated with the Zionist State of Israel, the emblem itself is truly ancient. Some say it predates even the Egyptian civilization." Interesting. Any idea where it originated from? It existed during the Hindu Civilization. Was known as Shatkona in Sanskrit. 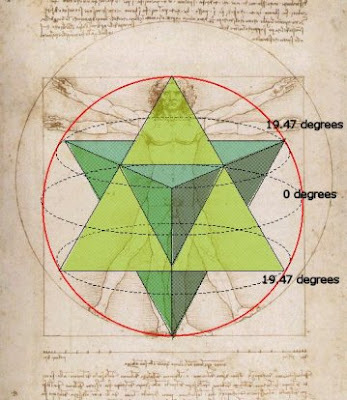 Shatkona: (Sanskrit) "Six-pointed star," formed by two interlocking triangles, the upper one representing Siva's transcendent Being, and the lower one Siva's manifest energy, Shakti. The shatkona is part of Lord Karttikeya's yantra." If it predates that, we're saying it predates the oldest civilization. Its amazing how the world is..filled with unsolved mysteries. p/s- you might wanna see this. Mantessa is a place where i used to work temporarily in Guinea, West Africa. My relatives had this fruit orchard there. There were two of us Azers. One is working for the paddy field in Monchon and he is known as Azer Monchon.